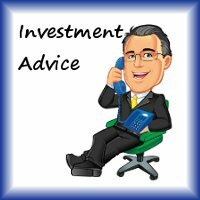 Here we cover working with an investment advisor, how to find an investment adviser, what kind of questions to ask an investment adviser or financial advisor. We also cover topics like knowing the differences between stockbrokers (also known as financial consultants, financial advisers) and investment advisers -- differences most individual investors may not know. We also cover areas like fee-only advisors versus fee-based advisors, and fee-only advisors versus advisers working on commission. We don't trash any business model as wrong, but it's important you know how your adviser gets paid. If you do not see a topic you would like discussed, feel free to get in touch with Thomas Mullooly and his team at 732-223-9000 or here.